Bebe Rexha strikes a pose as she arrives at the 2019 Nickelodeon Kids’ Choice Awards held at the Galen Center on Saturday (March 23) in Los Angeles. 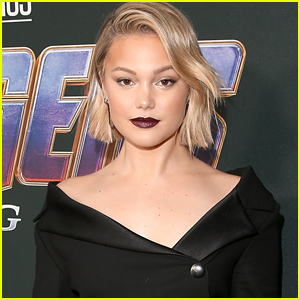 The 29-year-old singer wore a neon yellow blazer and black jeans as she hit the stage alongside Janelle Monae to present Joey King with the Favorite Movie Actress award. FYI: Bebe is wearing a Whyte Studio blazer dress at the show. 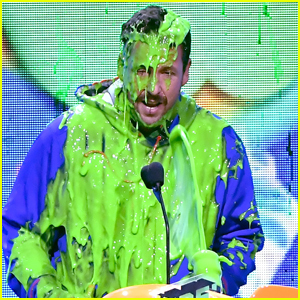 Adam Sandler Gets Slimed at Kids' Choice Awards 2019! Adam Sandler gets covered with slime while on stage during the 2019 Nickelodeon Kids’ Choice Awards held at the Galen Center on Saturday (March 23) in Los Angeles. The 52-year-old actor hit the stage to accept the award for Favorite Male Voice from an Animated Movie for his role of Dracula in Hotel Transylvania 3: Summer Vacation. Earlier this week, Adam was spotted on set with co-star Jennifer Aniston filming reshoots for their upcoming movie Murder Mystery. You can check out the full list of winners at the KCAs here! 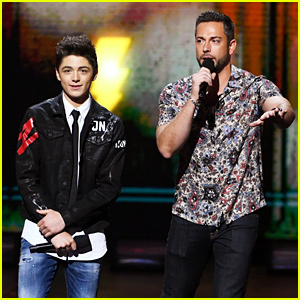 Kids' Choice Awards 2019 - Complete Winners List! 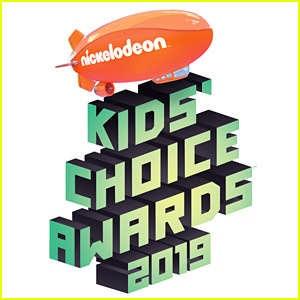 The show has ended at the 2019 Nickelodeon Kids’ Choice Awards and here is the winners list! DJ Khaled hosted the live event held at the Galen Center on Saturday (March 23) in Los Angeles. Some of the big winners of the night included The Kissing Booth‘s Joey King, To All The Boys I’ve Loved Before‘s Noah Centineo, and Jurassic World‘s Chris Pratt. A bunch of stars got slimed, including Chris, Will Smith, social star David Dobrik, and more. 'Dora the Explorer' Cast Premieres Trailer at Kids' Choice Awards 2019 - Watch! Check out the new Dora and the Lost City of Gold trailer that aired during the 2019 Nickelodeon Kids’ Choice Awards! 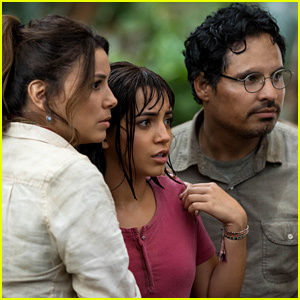 The movie’s stars Isabela Moner, Michael Pena, and Eugenio Derbez presented the trailer at the event held on Saturday (March 23) at the Galen Center in Los Angeles. Isabela repped Dora with her all-pink ensemble. 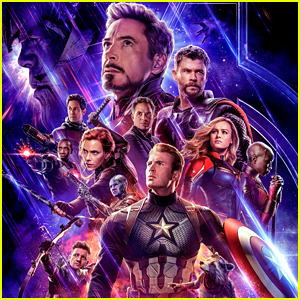 Directed by James Bobin, the film also stars Adriana Barraza, Temuera Morrison, Nicholas Coombe, Madeleine Madden, and Danny Trejo. 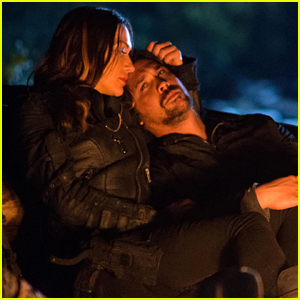 Watch the trailer below, and check out some new stills in our gallery! Dora and the Lost City of Gold hits theaters on August 2. FYI: Isabela is wearing Esteban Cortazar with Sergio Rossi shoes. 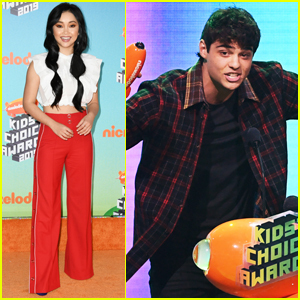 Lana Condor Presents Noah Centineo with Favorite Movie Actor at Kids' Choice Awards 2019! Lana Condor hits the orange carpet at the 2019 Nickelodeon Kids’ Choice Awards held at the Galen Center on Saturday (March 23) in Los Angeles. The 21-year-old actress looked pretty in a white crop top and red pants as she stepped out for the awards show. Inside, Lana and Shameik Moore presented the award for Favorite Movie Actor to her To All the Boys I’ve Loved Before co-star Noah Centineo! The 2019 Kids’ Choice Awards, hosted by DJ Khaled, is on Nickelodeon RIGHT NOW! FYI: Lana is wearing a Giamba top, Jonathan Simkhai pants, Christian Louboutin shoes and Jennifer Meyer jewelry.